If you have children or know you may one day, you know how important schooling is or will be. With such variance in education, you naturally want to make sure your child is getting the right experience, the best one for helping them to grow and succeed. La Jolla has numerous public and private schools that makes picking hard…only because there are many great options! That’s why we’ve put together this page, to break down the most critical information for top, local La Jolla schools, from pre-school to 12th grade. Education here is highly ranked not just by parents and teachers, but by test scores. La Jolla scores a 9 out of 10 on GreatSchools.com for its academic standing, a good many points above the average school in the U.S. There are 3 public elementary schools: Bird Rock, La Jolla & Torrey Pines – each one located further north than the next. These are predominantly based on where you reside. For example, if you’re looking to buy a home near the Southern end of La Jolla, you’re child will most likely attend Bird Rock Elementary. All three schools are much loved by those that attend, and the PTA (Parent Teacher Associations) are definitely not short of members. Involvement is huge. Children graduate from elementary school and enter this transitional few years before hitting the SAT-filled halls of high schools. Because there is so much change during this time of kids’ lives, we know how important selecting the right middle school is. Muirlands Middle School, a very highly rated public institution and has 1,090 students and has about 22 students to the teacher. It has very competitive test scores and leads students smoothly into their next chapter. Once children have made it up the ladder to high schools; congratulations! They’re almost there. The main public school for the city is an easy name to remember, La Jolla High School. Known for its sports teams and high rating, it hosts about 1600 students. And though it has a large school body, there are only about 22 students to the teacher. The private schools are a large draw in this city, whether its kindergarteners diving into the world in a safe, mind-engaging environment or high school students gearing up for higher education through college prep, SATs, AP classes and more. Some of these schools aren’t simply elementary or middle school either, they include many grades that is ideal for people with children of various ages. Check out some of the top options! This elite, highly regarded schools is an independent school designed as a college-prep education; its roots in the Episcopalian church have been here since its founding in 1909. This top notch, 24 acre school is part of a nationwide private school system that even accepts international applicants for high school. Not only are the academics and extracurriculars top of the line, but your children, whether they’re 4 or 14, can all head to the same spot! This progressive school is all about its students being 21st century learners, emphasizing outreach projects that go outside the classroom walls. This school believe strongly in academic, social and environmental curriculum. This is the school associated with the Parochial School for Mary, Star of the Sea Catholic, located right in the heart of the La Jolla Village. It’s proud to intertwine faith and tradition with positive growth and learning. This education institution, hosted up on Mt. Soledad, is known for a focus on education that’s not only academically nurturing, but about respect, kindness and being faith-centered. They also have a focus on small class sizes and parental involvement. From ages 2 to grade 6, this schools is all seeing learning as a journey, using their skills, resources and facilities to not only teach children, but create a love of learning. Mais oui! Whether your children uttered their first words in French or don’t have the best grasp of the language yet, this bi-lingual, multi-cultural school is a great place to foster language learning and development. They seek to pick the best of both the French and American school systems to create a powerful learning environment. Montessori seeks to activate and stimulate all the senses to create a learning environment that’s inquiring and cooperative, where students are not simply taught. They grow through self and teacher-initiated activities, in a classroom with children of different ages, not simply their own. This is an all-boys high school known for its highly advanced college preparatory design and its strong roots in Torah-rooted Judaism. Its reputation is proven by the numbers of students it’s sent to top of the line and Ivy League universities. This is a charter-school that has a top priority of sending kids to college who will be their first in their family to graduate from university. Located on the UCSD campus, it truly encompasses a culture of higher education and learning. This is another Montessori School option, the main difference being that it integrates both secular Montessori philosophy and Judaism. This program also provides a unique bi-lingual experience in both English and Spanish. This Christian-based school has a strong emphasis on integrating faith and academic excellence, which is demonstrated through their motto: “Where Faith and Education Meet”. By getting the basic facts, we hope you can narrow down some of the options that most jump out at you! Once they’re enrolled and need a break from schooling, there’s plenty else for them to explore in La Jolla, which you can learn about at our blog: Children’s Events. Though people of all ages revel in La Jolla’s coastline, no one appears to take joy in its beaches like the little ones do. Whether they’re splashing in the water or building sandcastles, a beach day is guaranteed fun. 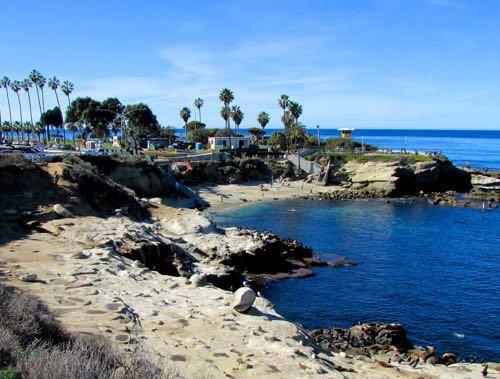 Besides the beach itself, there are other really wonderful spots for children in La Jolla and around La Jolla Cove. Here are the top places we know yours will love! Enter this quaint toy shop and you’ll feel as if you’re in small-town Italy. It has just enough toys that it has everything your child could be dreaming of, but without the overwhelming eye-popping, madness of bigger chains like Toys R Us. You may have your heart set on a toy and come in to find it not here. 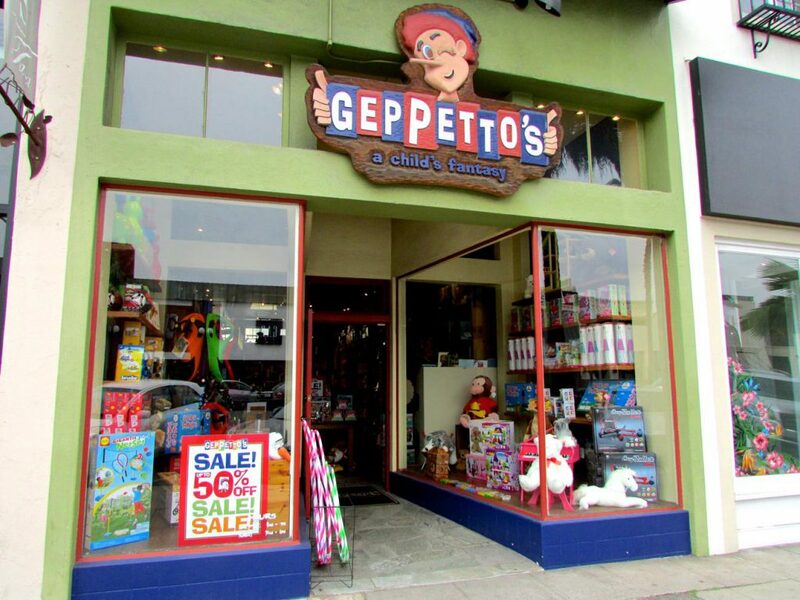 Don’t worry though; Gepetto’s is known for working with their vendors to order and ship in requests. Plus, if you’re running to a party and getting a gift on the way – they offer free gift wrapping on the spot! This hub of recreation is absolutely wonderful for kids in La Jolla, no matter their interests. The center hosts all types of amazing events, from pancake breakfasts to petting zoos. Yes, that’s right, petting zoos where your little one can ride the pony they’ve been asking for since last sitting on Santa’s lap at Christmas! For the regular play-in-the-grass, after-school kind of days, they have fields for soccer, 3 playgrounds and multiple basketball courts. Equipment for these games, like basketballs, can be borrowed from the center. The entire center is lined with gates too, so you don’t have to worry about children chasing soccer balls out into the street! This sounds exactly like what it is…a beachy swimming spot made specifically for children, although the sea lions have taken quite a liking to it, as well! This spot is sheltered from large waves, making it a safe swimming place for kids; especially if they are just learning. It’s just down the cliff from the village too, so restaurants, cafes and shops are right nearby. 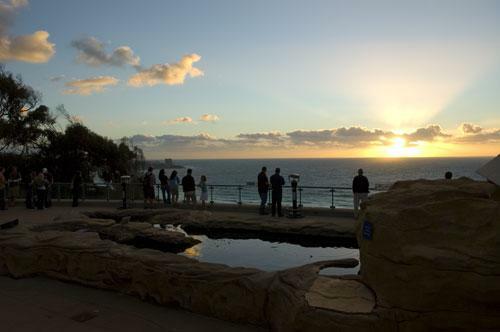 To learn more about the area and amenities, head to our La Jolla Cove guide. This aquatic life-packed venue is specifically geared towards children, too. With animal feedings, interactive exhibits and tide pools, it’s a fantastic place for people of any age – which means both you and the kids will enjoy it! 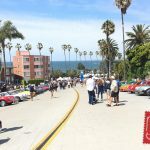 It’s one of the best attractions and things to do with kids in La Jolla, and it’s always a hit with visiting and local families alike. Learn more about this venue here, or plan a full itinerary for the entire day using our handy guide. Do your kids love the water? Then they would probably love learning to surf! At the Surf Diva Surf School, they’ll learn from very knowledgeable instructors who have a vast amount of experience working with kids. Their standard day classes and longer surf camps are very highly rated. Options for overnight camps include co-ed surf camp, overnight camp, girls overnight camp and more. Check out what camps Surf Diva has coming up this summer for your ocean lover, or read a first-hand experience of what it’s like to take a lesson there. The holidays in San Diego are full of festivities, especially for kids in La Jolla. Summertime is always jam-packed with events, activities, and local happenings; stay up-to-date and in the know with our Events guide! 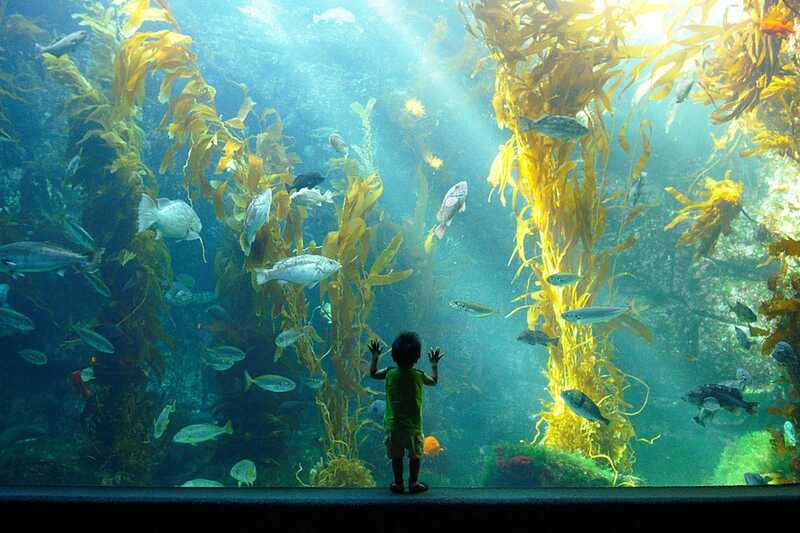 If you’re thinking of adventuring outside of La Jolla with your kids, surprise them with San Diego Zoo tickets or Seaworld San Diego tickets. Do you have any favorite activities for children in La Jolla? Share with us on Facebook!